Locums.sg is an interactive and innovative portal created by Alphis Solutions. 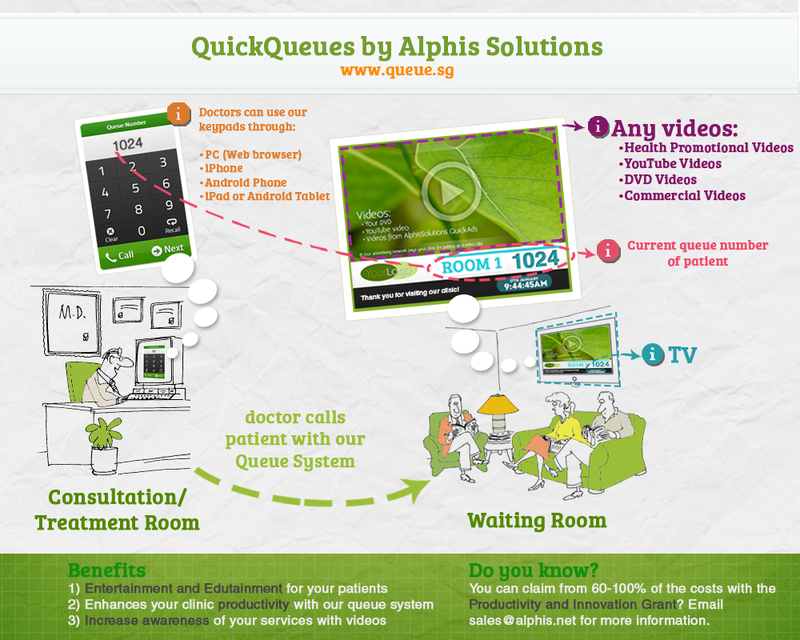 Alphis Solutions has many products and, our main flagship product is QuickQueues. QuickQueues is an innovative and modern Queue Management System with YouTube capability, mainly targetted at medical establishments.